Woodland Gatherings is a leading full service florist in the Sunbury and surrounding area with over 25 years of floral design experience. Whether you prefer something time-honored and traditional or contemporary and modern, we design our arrangements with you in mind. 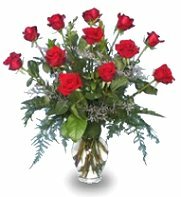 At Woodland Gatherings, we specialize in beautiful roses, as well as designing breathtaking arrangements for all occasions from sympathy, weddings, anniversary, new baby, birthdays, get well and just thinking of you. We are conveniently located on Route 61 and are open to serve you: Monday through Saturday 9 am to 5 pm. Closed Sunday. Look to Woodland Gatherings for unique gift ideas such as: delicious gourmet & fruit baskets, gift baskets, candy and goodie baskets, balloons, plush stuffed animals and silk & dried floral arrangements. Host a beautiful and memorable wedding, holiday party, or corporate function with flowers and on-site decorating by Woodland Gatherings! Call (570) 286-7920 to schedule your wedding or special event consultation. We can also help you choose funeral flowers that beautifully convey your expressions of sympathy and serve as a lovely memorial to the deceased. 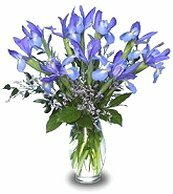 Thank you for visiting our website for flowers delivered fresh from a local Sunbury, PA florist and convenient online ordering available 24 hours a day! !